You may feel ungainly or unsteady when getting up and down from the floor. Perhaps you aren’t sure how to do so safely or are worried about getting back up again afterwards. You want to feel supple enough to get down to reach a plug or feed the cat, and then strong enough to get back up safely. Many people find it helpful to learn a simple technique for getting up and down from the floor. This ensures you remain safe and steady on the way down and up. In the instructions and videos below, I will take you through this simple process which will help you to feel stronger and more confident. Taking the time to practise this technique will ensure you have the confidence to get down to the floor when you need to, safe in the knowledge that you can always get back up afterwards. Practise at a quiet time, so there aren't any distractions. If you think you may not be able to get back up again by yourself, have someone with you who can help. Make sure you use a sturdy, stable chair (with arms if possible. To make sure the chair doesn’t move, you can push it against a wall for added stability. ​If you have any concerns about kneeling and knee replacements, scroll down to the FAQs below - we have covered this in quite a lot of detail. There is also another video showing you how to move around and get up from the floor without putting any weight through your knees. Start from standing – it’s just as important to get down safely, and the steps are the same in reverse, so it helps to learn the process. Take a step towards the chair. Lean forward and hold onto the arms (or seat) with both hands. Lower your back knee down onto the floor. Bring the other knee onto the floor as well. Shuffle your knees back a bit, take one hand to the floor, then the other – you will be on all fours (hands and knees) at this point. Gently lower yourself sideways so you are sitting with one hip on the floor. From here, you can move into the most comfortable position for you. If you are sitting down, roll onto one hip and carefully manoeuvre yourself sideways onto your hands and knees. If lying down, roll onto your side and push yourself up onto your hands and knees. Even if you are lying on your front, it can be easier to get on all fours from your side, rather than pushing straight up from your front. Here are some tips for moving from the side lying position to get on all fours. Bend your top knee and bring it in front of you, onto the floor, then take your top arm over and place that hand on the floor. Take a big breath in, and, as you breathe out, roll over and push yourself up. Start on your hands and knees, in front of a stable chair. Place your hands on the seat or arms of the chair. Lift one knee up and place that foot near the chair. Hold the chair firmly and tuck the toes of the back foot under if you can (don’t worry if you can’t – not everyone can do this and you will be fine). Push through the standing leg to lift the back leg up and plant that foot firmly on the floor. Keep your knees bent and weight over the chair to slowly stand up. Do take a look at the video above, which has some additional guidance. You can watch it once just to get an idea and then practise along with me when you are ready. Make sure the floor is clear. If you are on a hard floor, use an exercise mat or put some cushions under your knees. To prevent dizziness on standing up, take lots of time, pause for as long as you need to between each bit of the movement. When you get onto two feet, hold on firmly to the chair and ‘pump’ your ankles - keep your toes on the floor and lift one heel, then the other. This movement will help the blood to flow back up from your legs. Then keep holding on as you slowly stand taller, turn carefully (still holding on) and sit down in the chair. While seated, march your feet in the chair before standing up fully. When you get to standing, don’t rush to turn around. It can be hard to keep your balance when you turn quickly. If you find you get dizzy when turning, take slow steps and try to move your head in line with the rest of your body and your feet. Often we move our heads faster than our feet, and this throws us off balance. People are often happy to follow these steps when they get up but are happy muddling through to get down. However, it is just as important to pay attention and take a step by step approach as you get down to the floor. It’s easy to stumble or lose your balance, especially if you are rushing to attend to an impatient toddler. I hope you have enjoyed learning how to get up and down from the floor, safely and confidently. Please remember that, even though you may no longer spring up and down from the floor like you used to, that doesn’t mean you should give up and not even try anymore. Learning, practising and taking the time to do this properly will give you confidence, help you feel in control and reduce the likelihood of injury. Please do let me know how it feels to be confident about getting up and down from the floor, and how this has helped you? I sort of manage to get up and down when I need to, so why should I bother practising this? This might all sound a bit like hard work, especially if you are more or less managing to get up and down for the moment. It will take a few minutes of practice (the video above is only 3 minutes long). The benefit of learning this process is that you can always be confident that you know a clear step-by-step way to get up and down. There’s less risk of feeling unsteady or losing your balance, especially if you aren’t feeling so good, or are rushing one day. You will be able to take it one step at a time and feel confident and in control all the way. I have had a knee replacement and I am not sure if I should be kneeling – is this safe for me? The usual advice is to wait 6 months after knee replacement surgery before kneeling. You should have the all-clear from your surgical team at your post-operative check-up (timings will vary on this) and they will confirm that your knee has healed well. Once you are past this immediate postoperative period and have had the sign-off at your check-up, it is good to know that, in the majority of cases, kneeling will not cause damage to the actual joint. If you have been advised not to kneel please check exactly what is meant by ‘kneeling’ – some health professionals mean that you shouldn’t get down on your knees and sit back on your feet (which is pretty hard for many people anyway). There’s a difference between this level of bend at the knees and a 90-degree bend which we are doing here. People often report that their knee feels uncomfortable on kneeling, and worry it may be the joint itself that they are feeling. It can be reassuring to know that often it is just the scar or residual swelling from the operation that is causing the knee to feel taut or uncomfortable. Any discomfort or difficulty on kneeling is quite likely to be the result of not having enough flexibility at the knee or enough lower body strength to move down in a controlled manner. The latter is important because you need to move slowly and control the downward movement in order for your knee to gently touch the ground. Make sure you have had the all-clear from your surgical team and that your operation was successful. Perform any rehab exercises and stay as active as possible. Regular exercise will help you to regain the strength, flexibility and mobility you need to maintain joint health and allow you to perform movements such as those above. 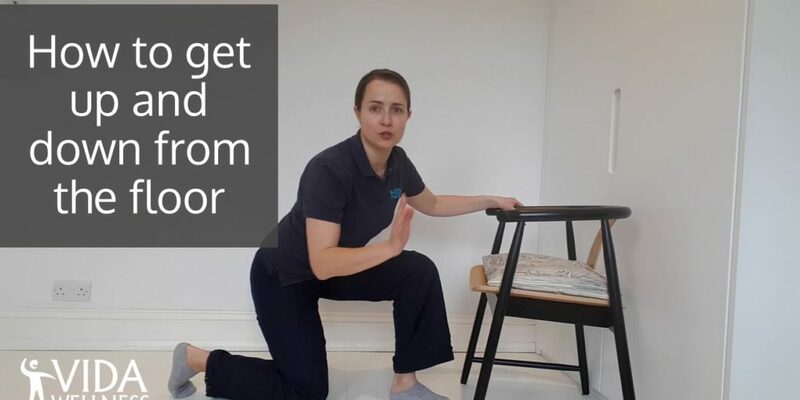 Practise the part of the movement where you gently lower one knee towards the ground a few times, but put a few cushions on the floor so it’s soft and a bit higher. Gradually, once you trust the strength in your arms and opposite leg to hold the weight as you lower into the kneel, add a little more weight onto the knee each time. It often takes a few practices, but you should find it gets a little easier each time. When you are practising getting up and down from the floor, concentrate on keeping more of your body weight through the standing leg and your arms. This will take the pressure off your kneeling leg. You can also try changing which leg you step back with first. You may find one has more flexibility or is more comfortable than the other. If you are concerned, make sure someone is around when you practise this. Is there a way to move around on the floor without getting on my hands and knees? Perhaps you have managed to get up and down by following the advice above but would like another way to move around on the floor – without going on all fours (hands and knees). Or you may simply not be able to get on your hands and knees at all. To move around without getting on your hands and knees, we recommend hip walking across the floor. Small grandchildren will be happy to demonstrate – they know it as bottom shuffling! You can practise hip walking when sitting on a chair too. Start sitting at the back of a chair, holding onto the sides (or arms). Lift one buttock up and move it slightly forwards, then the other. Once you get to the front of the chair, lift and move backwards. Think about staying upright when you do this (please don’t lean to the side). How can I get up from the floor without putting any weight on my knees (I can’t kneel at all)? Use the hip walking technique above to move towards some stairs, an armchair or sofa. Sit with your back touching the first step of the stairs, place your hands on the step and push your body up so that you lift and sit on the first step. You will need to use your arm muscles and do a big push. Place your hands on the next step up, and push yourself up again. Moving onto the second step will be easier as you can push through your legs a bit too. On the second or third step, you should find you are able to use your arms to push or pull yourself to stand up. Take a look at the video above for a demonstration. If there are no stairs, use a small step or some cushions to create a step in front of an armchair and use the same method. What if I have fallen over? Can I use this technique to get up from the floor? 1 in 3 people over 65 will fall each year (that rises to 1 in 2 over 80), so there’s a chance you might also need to use this technique to get up after unexpectedly meeting the floor. If you do trip or fall, the first thing to remember is to take your time – don’t rush. If you think you need help, you may be able to reach a phone (or find another way to alert someone) without getting up from the floor. You can move on your hands and knees or do the hip walking (see video above) to move across the floor. If that’s not possible, and you know you will be by yourself for a while, then you will need to do whatever you can to get yourself up. The risks of staying on the floor for any length of time almost always outweigh the discomfort of getting yourself up. If you have practised the technique above, you will feel more confident getting up from the floor in such a situation. 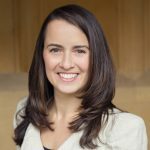 If you have injured yourself or are feeling unwell, it may take longer than usual, but the technique remains the same. Take as much time as you need to – do it one step at a time and eventually, you will get up. Even if you don’t need emergency attention, we always recommend letting your doctor know that you have fallen so that they can make sure you are OK. If you find yourself tripping or falling regularly, you should talk to your doctor about anything that might be causing you to lose your balance. Here's an article we wrote about whether you should see your doctor about your balance. One of the best things you can do to remain steady on your feet and reduce your risk of falls is to perform regular strength and balance exercises. Sign up below for our newsletter and you will receive our free home exercise videos. What do you find difficult about getting down to and back up from the floor? I would love to know. Pop a comment below or send me a message through the contact us page.